The NeverTrump movement has been a complete and utter failure, in all respects. Now, I don’t blame the individual voter for being NeverTrump- at times it seemed as if the entire world was arranged against the Trump candidacy, and that’s a heavy burden to bear. Instead, I’m mostly talking about the prominent NeverTrumpers who used to have influence and power in the GOP. Far too many of us are cowed by the powers of this world: so afraid of being called a *ist that we choose the easy way out. For us everyday joes, it’s a concern with real risk – it doesn’t take much for the internet mob to get their pitchforks and start doxxing you and clamoring for your disemployment and disassociation. But for the supposed leaders of the Christian and conservative movements, the media browbeat them into denouncing and disavowing the GOP candidate. This Democrat-media complex – which has demonstrably lied every step of the way, which has been proven to be in direct collusion with the Democrat party, which has gotten everything wrong about this election – nevertheless convinced a significant number of Christians and conservatives to forsake Donald Trump when he needed our help the most. And now that Trump has won (and those of us who were not brainwashed saw it coming), these same turncoats have jumped back onto our side and are now attempting to weasel their way into his administration, as if Donald is going to forgive and forget all the knives they planted in his back. Isn’t it obvious by now why NeverTrump was a huge strategic mistake? Because Donald is not a politician, he’s not in the habit of suffering those who have betrayed him. No, he’s a ruthless businessman, and he values loyalty and effectiveness above all else. Just look at how he has handled Lewandowski, how he will handle Bannon, and how he is rewarding Ingraham, Carson, Guliani, and Christie. And now NeverTrump are the pariahs, condemned to the political wilderness, and far removed from the levers of power. As an aside, LOL at those thinking they can bully Trump into dropping Bannon. Trump just survived all they threw at him & yet they’re still running the same plays against Bannon. Bannon proved his worth and Trump isn’t going to let him hang. 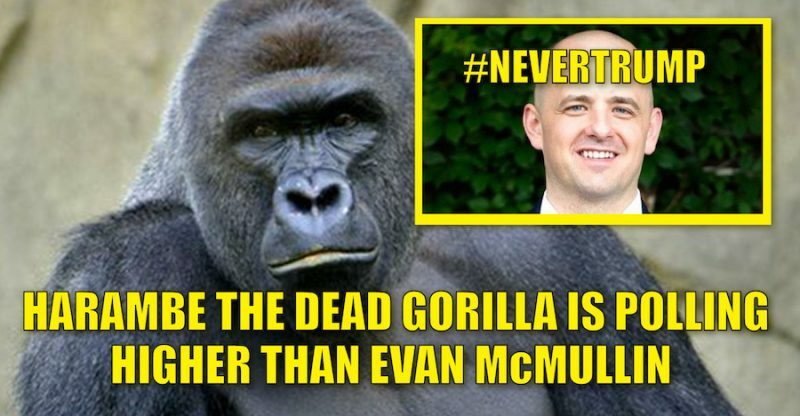 Tactically, NeverTrump was a failure as well – both David French and the McMullin candidacies were humiliating embarrassments that should haunt them and their supporters for a political eternity – and even with those leeches (and the other votes siphoned off by the Libertarian party), Trump still won the electoral vote handily. NeverTrump opposed him, not because of ideology, but because they thought it would endear them to NY/DC elite. But their opposition wouldn’t have even allowed them to escape the “taint” of his candidacy – if Trump had failed, we all know that all Republicans would have been tarred with the Trump brush regardless of their opprobrium. NeverTrump is also a huge moral failure for Christians. There was staunch evangelical opposition to Trump that in no uncertain terms denounced him and displayed their contempt of him, much of it based on decades-old history and media-concocted narratives. What’s extremely troubling is that Donald Trump recently had his road to Damascus moment and accepted Christ – and his first taste of Christian brotherhood was soured by his being cast out into the wilderness by prominent evangelicals. Thankfully, Donald has the personal support of other notable evangelicals like Franklin Graham, James Dobson, and Ben Carson, who are now a part of his faith advisory committee. While I personally don’t begrudge my friends in the NeverTrump camp, I don’t think any of the prominent NeverTrumpers should hold any sway in the Trump administration. They wholeheartedly believed the media narrative, despite its long history of deception. Then they stabbed him in the back, fueled the engines of his enemies, and fanned the flames set by the Democrat-media complex, to earn the approval of the liberal elite. They abandoned Trump at the time when he needed their guidance and support the most, and he is right to ignore them. Now, only those who have stuck by Trump through thick and thin get to help shape the future of this nation. They bore the slander and character assassinations, put their reputations on the line, and their skin in the game – and to the victor go the spoils. This entry was posted in politics and tagged Christianity, Trump by Phil Chuang. Bookmark the permalink.